We would like to welcome our new team member Yaryna Nyzhnyk. She will be taking a position of Dr. Konstantin’s Medical Assistant and will be primarily responsible for helping the doctor with medical and surgical care of our patients. 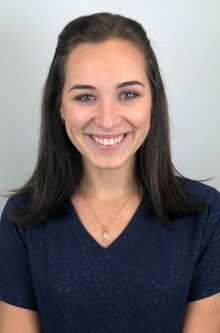 Yaryna is a graduate of Ivano-Frankivsk School of Medicine and is currently studying for the United States Medical License Examination (USMLE Step 1). Yaryna is a gentle, compassionate, and extremely kind person. She likes to help others and takes great pleasure in her work as a Medical Assistant. Outside of work she enjoys ballroom dancing, listening to music and spending time with her family. We are very excited about Yaryna joining our practice and are looking forward to her becoming a part of our great medical care team!